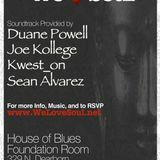 Joe Kollege Live at We Love Soul Sessions! 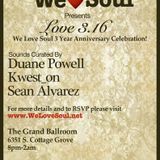 Duane Powell Live at We Love Soul Sessions! 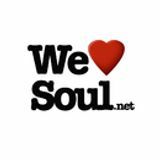 We Love Soul is a network and community of music lovers who love and support soul music and its many offshoots and genres; NuSoul, Hip Hop, House, Disco, Afrobeat, NuJazz, Latin flavors and more. 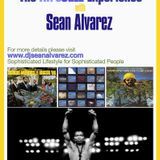 Our mission is to expose soulful music to audiences who desire to be entertained as well as educated. 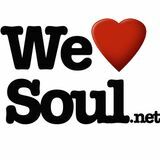 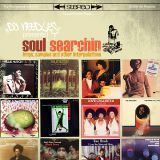 Our vision is to progressively and positively influence soul music communities and cultures around the world by providing soul music lovers audio and visual access to cutting edge soul music and artists.